Two new polls about the shopping habits of affluent shoppers find that the rich aren’t so different: They love shopping at Costco, Home Depot and Target, too. 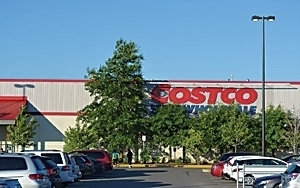 New research from Mintel finds that high-income consumers even love the private-label goods at Costco, with 38% saying they believe them to be comparable to name-brand items. Among homes with more than $150,000 in annual income, that opinion rises to 44%, the highest of all income segments. And they like to shop in person, with 63% of Americans venturing in to a warehouse club in the last six months, compared with just 25% shopping online. The market research company chalks that discrepancy up to both the appeal of a trip to Costco and other warehouses, which can feel like a shopping adventure, and the inconvenience of buying bulky items online. Some 36% of club shoppers say they like finding unique items, especially among women 55 and older. Younger women, aged 18 to 34, are the least likely bargain hunters, at 30%. And a new survey from Millionaire Corner, an investment site owned by the Spectrem Group, based in Lake Forest, Ill., reports that among those with a net worth of $5 million or more (not including their primary home) Home Depot is the favorite store, regularly visited by 57%, followed by Costco (46%), Lowe’s (44%) and Target (41%). A third say they shop at Walmart, too. Where they don’t shop is just as intriguing: Only 2% of the survey (based on 1,200 investors with net worth ranging from less than $100,000 to more than $5 million) ever go to Lord & Taylor, for example. And only 8% of the highest net-worth shoppers go to Neiman Marcus.